It may be cold outside, but our front porch is warm and inviting. Check out our Fall Porch Decorations! The Large Wooden Letter was the inspiration for the whole change to our front porch. 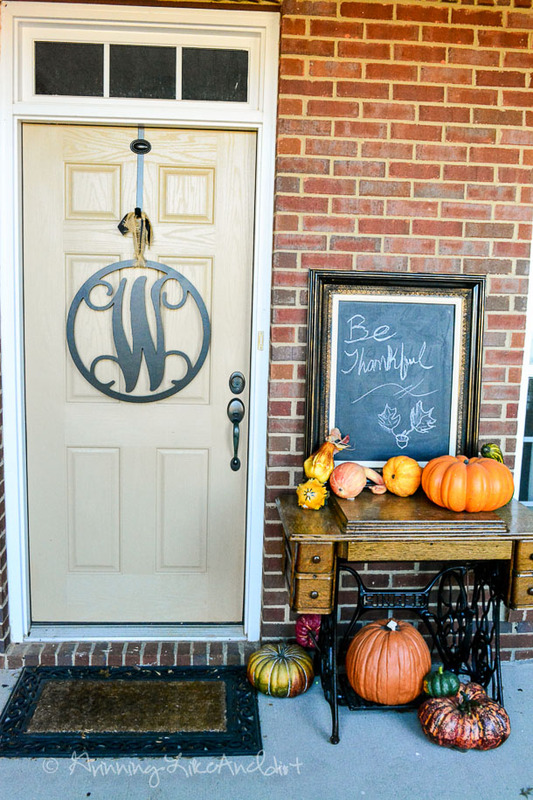 It's simple, and non-seasonal elegance frees me up to decorate more than just a wreath! What inspires your decorating style? Video: How to Tie a Knot for Sewing in 4 seconds!